The Makeeda accentuates the unique characteristics of gorgeous Acacia woods. 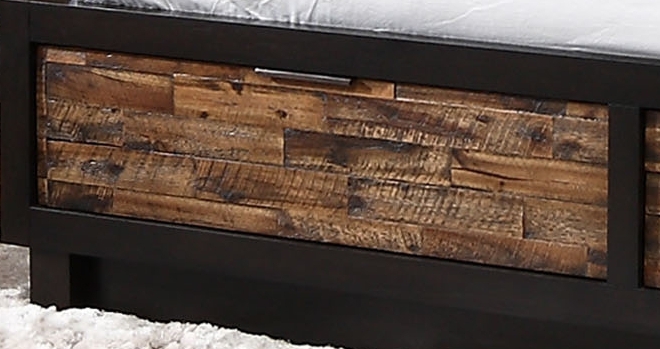 Pieces are hand selected and distressed to make each set one of a kind. 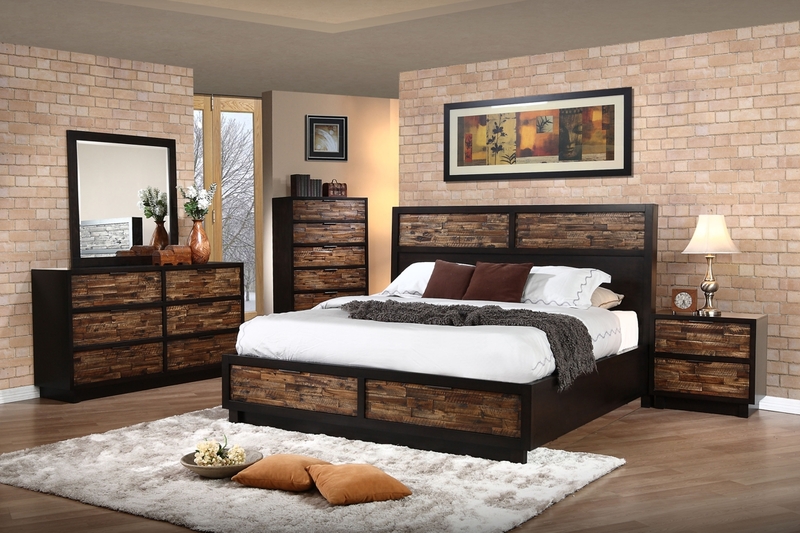 Set off by tobacco framing and featuring storage bed, bronzed hardware and pedestal bases.